Congrats to Greg Turner for receiving his PE license! Wildlands is thrilled to announce that Greg Turner has received his professional engineer license! Join us in congratulating Greg on this impressive achievement. 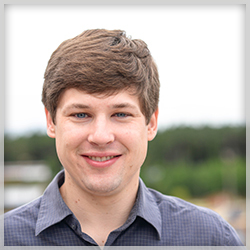 Greg serves as a Water Resources Engineer in the Wildlands Engineering Raleigh office. He has more than four years of experience working on a variety of projects including stormwater BMP design, hydrologic and hydraulic modeling, stream and wetland restoration design and monitoring, erosion and sediment control, and wetland delineations. Greg is a team player and enjoys assisting with the planning, design, and monitoring of ecological engineering projects. Join us in congratulating Wildlands team member, Alea Tuttle, for receiving her Professional Wetland Scientist certification! 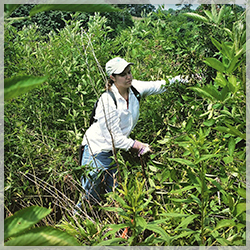 This certification is awarded by the Society of Wetland Scientists Professional Certification Program, which evaluates each applicant based on a combination of academic coursework, continuing education training, years of working experience in the field, letters of recommendation, and an essay describing an area of expertise. As a recipient of this certification, Alea meets the standards expected of a practicing wetland professional and she agrees to adhere to standards of professional ethics with regard to the conduct and practice of wetland science. Way to go, Alea! What a wonderful evening we had at the “Partners For Parks” social event for annual sponsors, last night. Wildlands Engineering is honored to sponsor such a great organization that values the importance of green spaces within our region. Learn more about Partners for Parks by visiting their website: www.partnersforparks.org.